Well, so far winter has been pretty good to us. I've enjoyed the mild weather as I am not one who likes the cold. 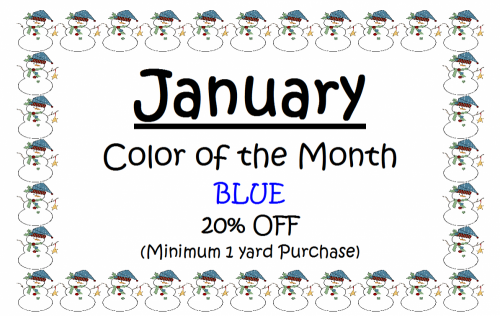 However, it has been cold enough for me to want to stay inside and work on my quilting projects. What about you? What have you been working on? Take a photo, post on our facebook page, we love show and tell!!! New stuff coming up, come in and visit, hope to see you soon. We still have 2 spaces left open in this class if you'd like to join!!! This book has four helpful carrying bags for your sewing supplies or other things you might like organized when traveling. We will make Tool Organizer today. It’s really easy to make. Get the supply list and do the class prep for this great addition to your traveling sewing supplies. Here’s a paper piecing project that will amaze you and add to your paper piecing skills. 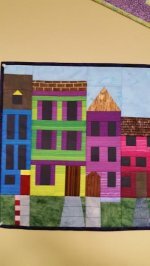 In this class we will cover paper piecing and you will also see how you can actually chain piece paper piecing! Yep this is going to go fast! There are 4 different buildings in this piece and you will be so happy at the result you may just want to make it again. 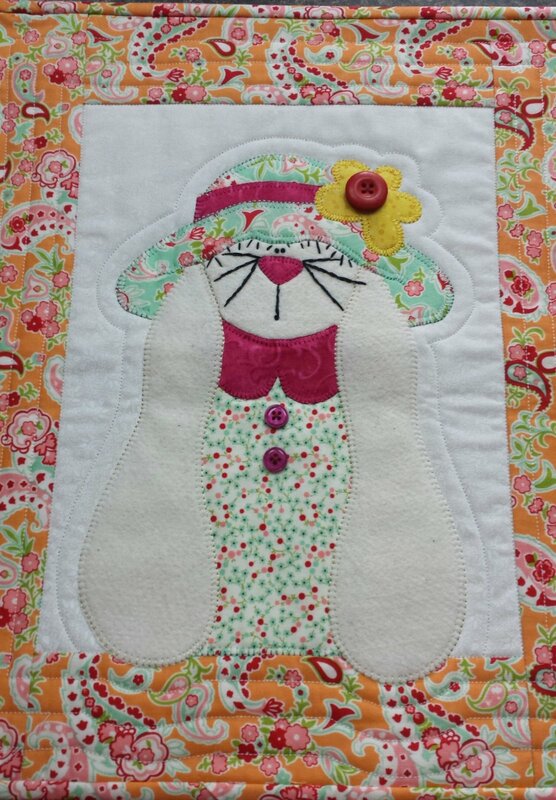 The finished size is a 16” square that you can make into a wall hanging, a pillow or a center of a quilt, the application is up to you. 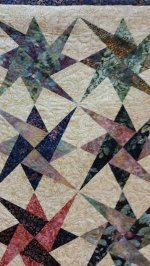 Beginner Quilting Don't forget your class dates on February 8th or 9th and again on February 22nd or 23rd. This month the pattern is the Carpenters Wheel and we will learn how to make multiple pieces out of one template. All Christmas Fabric, kits and patterns are 30% off while they last! 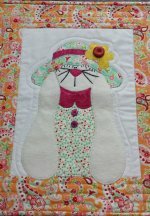 Coming up in March, Hoppin Bobbin will participate in the Quilts Around the Bay Shop Hop. Visit our facebook page here or click here for a list of participating shops and a preview of some of the blocks.